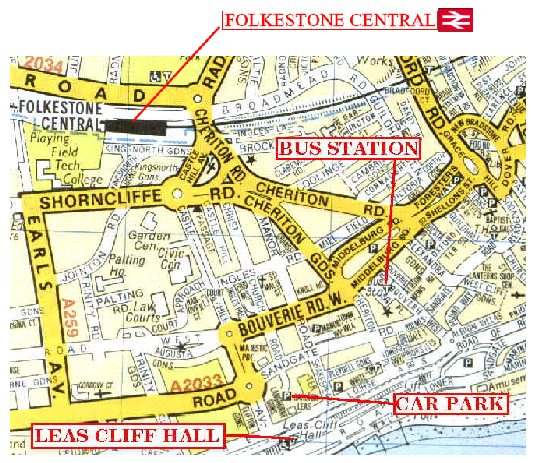 Folkestone Central is the nearest rail station to the Leas Cliff Hall, situated 10-15 minutes walk away. Regular services operated by Southeastern from London Charing Cross via Ashford, Ramsgate & Dover Priory. The High Speed service can also whisk you from London St Pancras to Folkestone in 1 Hour! 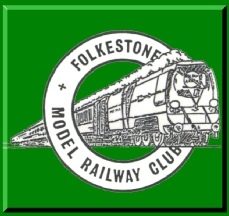 Folkestone Bus Station is situated 10 minutes walk away from the hall. Buses operated by Stagecoach East Kent from Ashford, Hastings, Hythe, Dover and Canterbury. The nearest car park to the hall is the underground car park which is situated to the rear. The main roads into the town are the A259 (from Hythe,Hastings), M20 Junction 13 (from London, Maidstone & Ashford), A20 (from Dover), A260 (from Canterbury). Parking around Folkestone town centre can be difficult at times especially on Saturday. Folkestone is the home of the Channel Tunnel and the terminal is located between Junctions 11a and 12.